My iPhone Says, “Not Enough Storage”. What Should I Do? 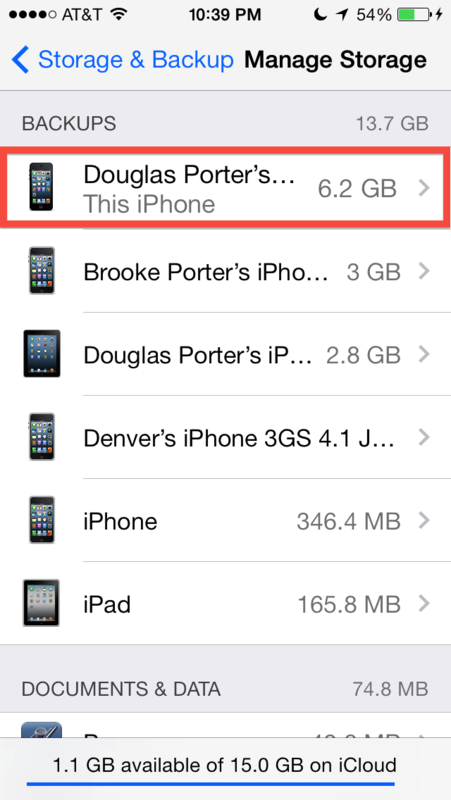 You are here: Home / iCloud / My iPhone Says, “Not Enough Storage”. What Should I Do? Do you wake up to your iPhone with this message, “Not Enough Storage, This iPhone cannont be backed up because there is not enough iCloud storage available. 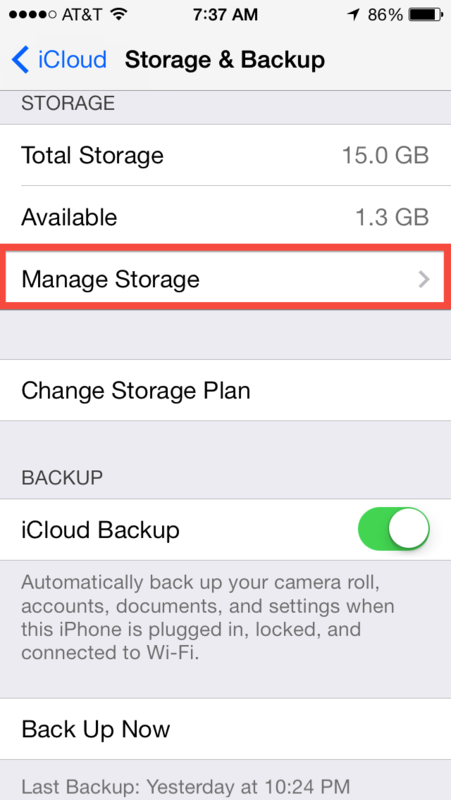 You can manage your storage in Setting.”? 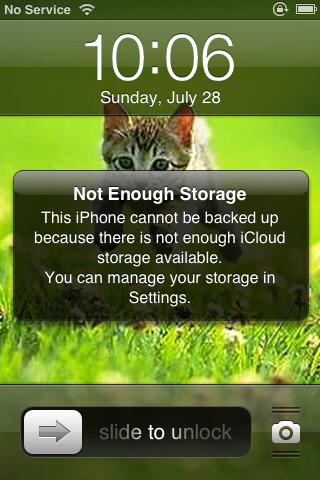 In this video I can help you get rid of this message and I explain what the iCloud is and how to use it best. I’ve also made a video explaining “What is iCloud and Should I Turn it On?” Below is a step by step guide that I use in the video. I would recommend watching the video before doing the steps below so you understand what the settings mean and do. 1. Here’s what the warning message will look like. 2. 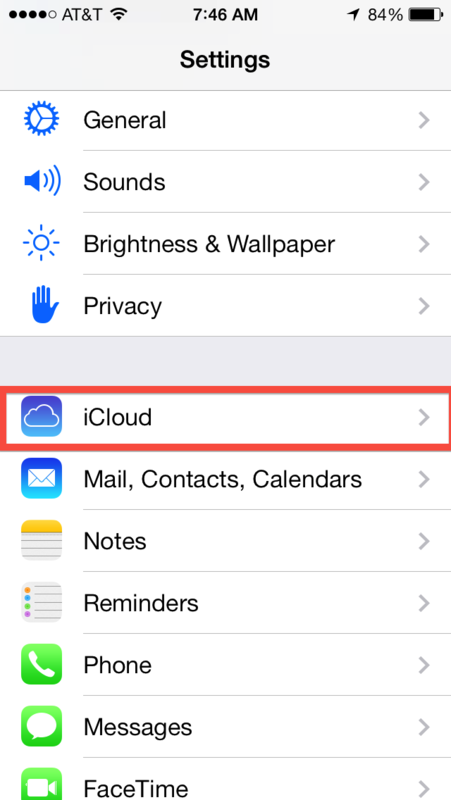 Open your Settings app and tap on iCloud. 3. Scroll all the way down and tap on Storage & Backup. 4. Tap on “Manage Storage“. 5. Tap on the device that says something like, “This iPhone” under it. 6. Now just find the “Camera Roll” and slide the slider off. 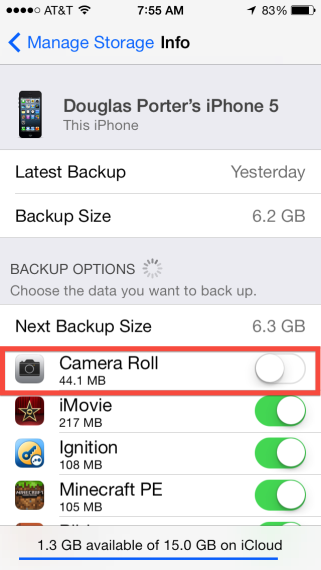 Now your photos and videos won’t fill your iCloud storage! If you want your camera roll backing up your photos and video or you have too many devices and need more iCloud storage you can buy it right on your iPhone. Just tap “Change Storage Plan” and you can select a larger plan that you pay yearly. This is good, but my message is not to do with iCloud, it just says cannot take photo, not enough storage? I have 13.1 GB remaining in iCloud and only 72 photos on my phone memory?? 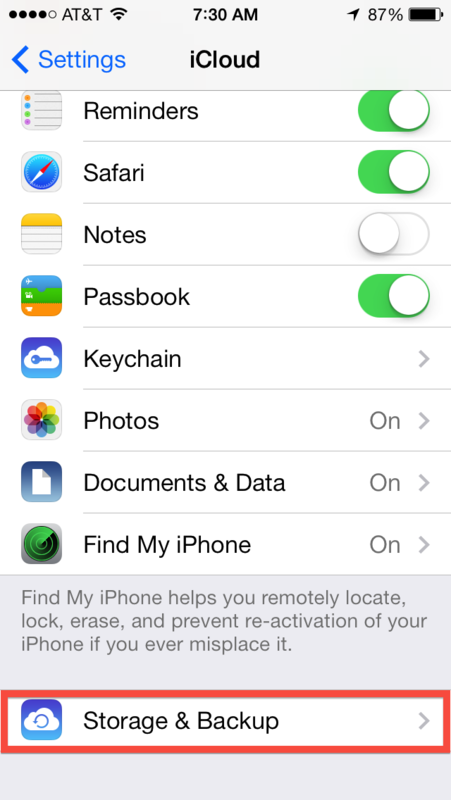 this was helpful, except for the fact that i try to go to settings and my phone wont take me to it. What do i do now? Thanks for sharing your thoughts on Dash Cam Accidents. 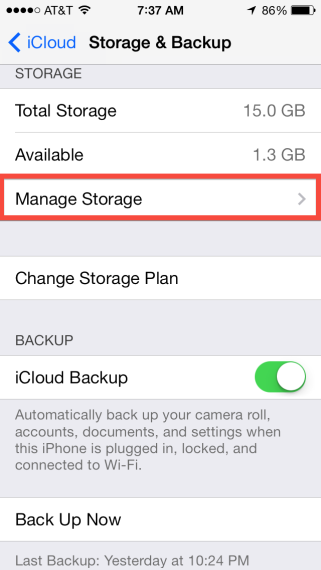 Hi trying to manage my storage and the phone won’t let me on any further when i push the Manage Storage for the next step……..what do i need to do. I can’t find the answer for this seemingly simple question. I have an IPad 3. I totally understand HOW to free up storage, why and where. I chose to purchase more storage at .99 cents/20 Gigs per month. But what I REALLY want to know is…WHERE is it? I have 3 receipts stating I bought 20 gigs, once for every month for three times, yet I can’t SEE where it is added, or HOW to see it added. Can you help direct me to where my (almost, at least 50 gigs SHOWS?) …please help me find where I can SEE the purchased gigs in my settings menu. Thank you in advance. Great video! This does not give you more storage on the iPhone/iPad. It’s gives you more storage on Apple’s servers to backup your devices apps/documents & photos/videos. So it just makes copies onto their servers. Not giving your device more space. Sorry. I meant to say gigabytes there where I said megabytes in all caps. Trying to backup for icloud storage and I have no storage or backup icon that I can find. Help? 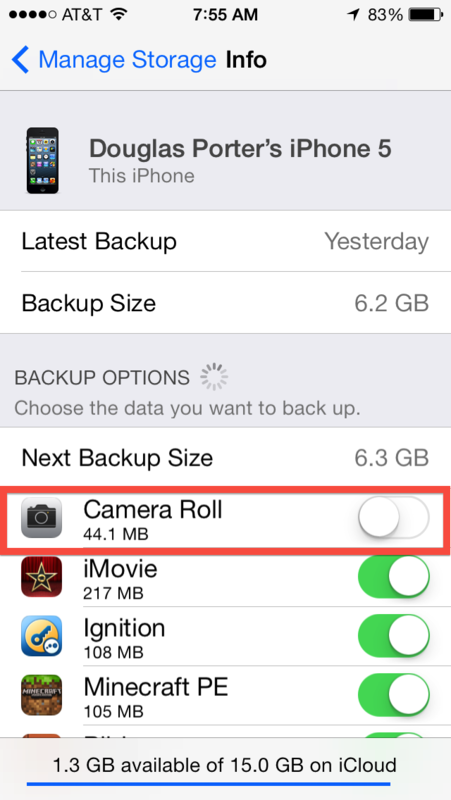 If i turned off camera roll i won’t be able to back up the photos again ? I just purchased 1 TB at $9.99/month. I have the iPhone 6s Plus and I purchased it because I kept getting the “not enough storage” box appear on my screen no matter what I was doing. I bought this thinking I could somehow transfer my apps and games from internal storage to the 1 TB of iCloud storage. I’m a newbie to the iPhone, I have had an android since these phones came out. I’m wondering if the $10 I have to pay a month now was a mistake? Please help me. I have all my photos going into my Dropbox app plus I have my photo library thing turned on in my settings. I haven’t seen anything change in the iCloud Photo Library. 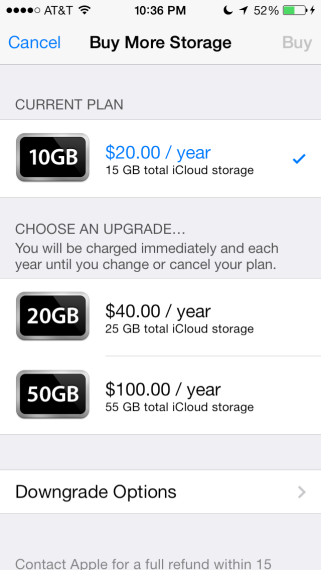 My iCloud storage has not changed from 1 TB either. What am I doing wrong? Oh, and once all my pics are in my Dropbox can I then delete all my pics from my camera roll? When Will The New Firmware (iOS 7) Come Out?